It’s that time of year when many of us are going for flu shots, vitamin C or extra hand washing to avoid illness. Seattleites are all for preventive medicine when it applies to us, but what about the mechanical members of the family? Our Fox HVAC specialists explain what, when and how to take care of them. That old adage an ounce of prevention is worth a pound of cure especially applies to our heating systems, appliances and cars, (just ask any car owner who ended up buying a new transmission because they didn’t check or change their fluid). These hard working machines are critical to us, expensive to replace, and yet many Seattle homeowners forget that our machines need their preventive “medicine” too. The cost of maintenance is low, and a major repair or new heating system can be thousands of dollars. With care, your furnace, air handler or heat pump can last 15 years, so the annual tune-up can save money in the long run. Your furnace, heat pump or boiler’s manufacturer warranty likely states that the equipment requires annual maintenance to remain covered. Heating systems are more likely to fail when stressed. That means they are more likely to fail during a cold snap when they are working at capacity, pushing as hard as they can to reach desired temperatures. This can leave homeowners in the cold, hoping a heating contractor can repair it or install a new one But that’s the time when many heating systems are failing, and contractors can have waiting lists for several days. While heating components don’t last forever, annual maintenance and proactive repairs can often prevent a poorly timed no-heat situation. As part of conducting a thorough tune-up of your heating system, Fox’s heating specialists also check for leaks of deadly carbon monoxide. Over 400 Americans die each year from unintentional carbon monoxide poisoning. While thankfully few are from gas heating systems, the potential is there. In addition to having equipment checked out during your tune-up, always have a working CO detector in your home. Do I Need to Call a Heating Contractor? Yes, even the kings of do-it-yourself at This Old House recommend contacting an HVAC professional when it’s time for your heating system tune up. EnergyStar also recommends that you contact a licensed and trained HVAC contractor to do this maintenance. A gas heating system can have 30+ items to check, clean, lubricate, calibrate or test. 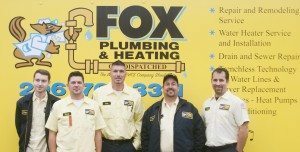 Manufacturer trained professionals, such as our team at Fox Plumbing & Heating, know how each one works, and what it needs for safe and successful operation. The part that every homeowner can easily do themselves is changing the furnace filter. This filter is in a separate compartment. Just remove, recycle and replace. Furnace filters should be changed more than once per year, and the correct timing and size varies based on your furnace. 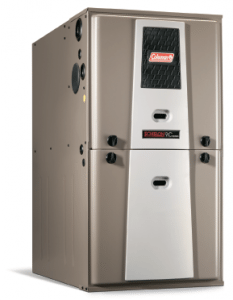 They are listed in the manufacturer’s booklet that came with the furnace or air handler installation. If you don’t have that, your HVAC specialist can inform you about the correct filter size, recommended timing for replacement, and show you how to change the filter during your tune up. Fox Plumbing & Heating provides expert HVAC maintenance, repair and installation services in Seattle and throughout King County. If you are ready for your 2015 heating system tune-up, or think it’s time for a new furnace, contact us.